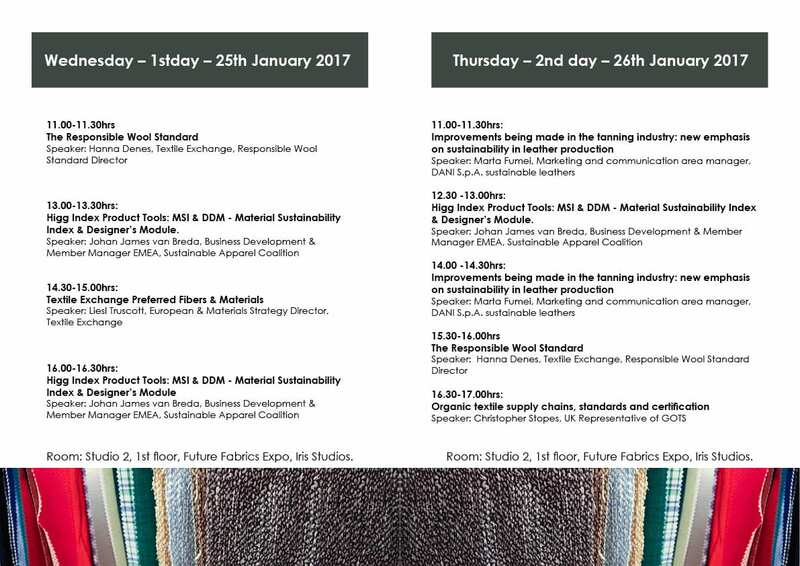 We are delighted to introduce seminars at the 6th Future Fabrics Expo in London, 25-26 Jan’17 10am-5pm., a showcase of 1500+ materials with a lower environmental impact, accompanied by background information on sustainability in fashion. Speakers from The Sustainable Apparel Coalition, The Responsible Wool Standard, Textile Exchange, GOTS and DANI S.p.A. 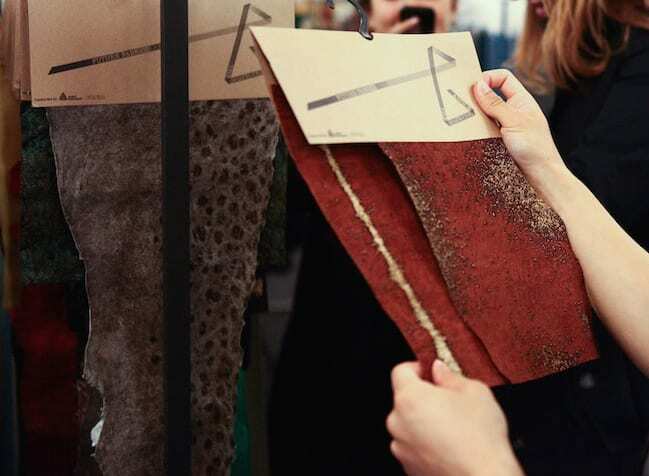 Sustainable Leathers will present 30 minute seminars over two days. DANI S.p.A was founded as a small family run tannery in Italy. The company is located in Arzignano (Vicenza), which is the main tanning center in the world. Their leather Zero Impact is chrome free, heavy metal free and complies with the specifications ISO15987. DANI was the first it its field to obtain the “environmental footprint” ISO/TS 14067:2013, an environmental indicator that quantifies the greenhouse gas produced along the whole supply chain, from agriculture to the finished leather. DANI intends to become a point of reference in the tanning industry for the efficient use of natural resources and energy, the use of low-impact chemicals, encouraging suppliers and customers to improve environmental operational practices, starting up research and development projects, transparent communications with local communities and the daily commitment of each and every employee. Read more about DANI S.p.A.’s ‘zero impact leather’ here.